In their ongoing quest to develop smart airports of the future, Airlines & Airports executives put technology and the critical role it can play in bridging the gap between customer experience, operations and profitability, at the heart of their ambitions. Adopting new means of delivering customer experience is now a key differentiating factor for Airlines and at the same time a catalyst for translating their brand promise and positioning. 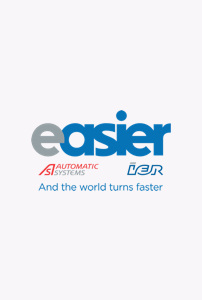 Since 1962, IER provides self-service solutions for the air transportation industry and has have been actively contributing to its ongoing evolution towards passenger-driven operations. Our know-how is widely recognized by airports and airlines worldwide and includes expertise in leading-edge technologies like biometrics, RFID or NFC. By selecting the most skilled and customer-oriented specialists and partners, IER helps its partners to develop in-depth technical expertise, market knowledge and highly-specialized skill sets needed to implement, deploy and support worldwide IER products. We have built a reliable network of partners across around the globe. Shall you be interested in becoming a high value IER partner, please send us an enquiry.